Richard Ransom is Weeknight Anchor and Managing Editor for Local 24 News along with Katina Rankin. With more than 20 years experience reporting on the issues and people affecting Memphis and the Mid-South, the Emmy Award-winning journalist says he and his family aren’t your typical Mid-Southerners. Richard grew up in Denver and graduated from the University of Missouri which included an internship for ABC News in London. His first job was in Peoria, Illinois at WMBD-TV where he was a reporter and weekend anchor. 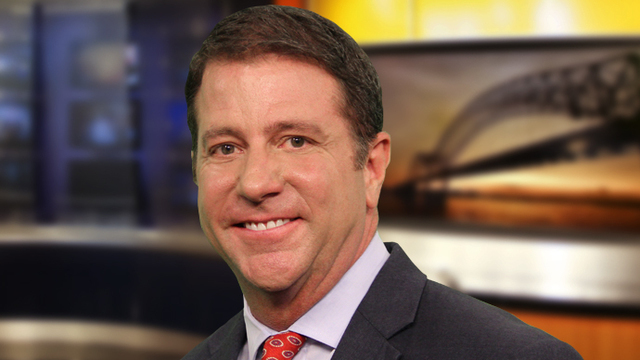 From there, he moved to Jacksonville, Florida and worked as an investigative reporter at WJXT-TV. Shortly after he married his wife in Jacksonville, the couple moved to Memphis (the first time) and he was morning news anchor for WMC-TV. Seven years and two children later, the Ransoms moved to Milwaukee, Wisconsin where WITI-TV hired him as prime-time anchor. But when an opportnity as main anchor at WREG-TV came open, Richard says it was a no-brainer to head back south. “We missed the warmer climate and the warmth of the people,” he said. Richard also believes it’s important for a news anchor not be trapped behind the anchor desk and get out into the community and report what’s going on. Also, on Sunday mornings, he hosts “Local 24 News This Week” — a program which examines the week’s headlines more in-depth and brings in the expertise of other local journalists and newsmakers. “Context, perspective and relevance are important in news coverage,” he said.